At the Learning Technologies Conference 2019, SweetRush will showcase how it's five services can help you motivate and engage with learners. A fast-paced, project-driven presentation demonstrating how SweetRush energises Learning and Development and delivers remarkably effective training performance improvement solutions. 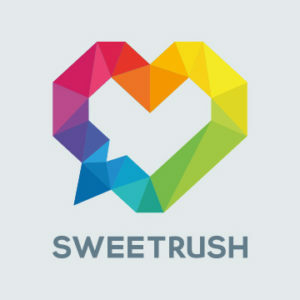 In this 30-minute session, you will learn how SweetRush’s five services can help you create engagements that connect with and motivate learners to change their behaviour. Custom Learning: View projects and see how SweetRush has leveraged the full spectrum of learning technologies to create highly effective solutions that win the hearts and minds of learners. SPARK: Find out how SweetRush is flexing this remarkably new immersive technology – utilising 360° video, 3D and hands-on immersive interactivities that add dramatically to the Learning and Development tool chest. Cultural Transformation: The road to hell is paved with good intentions. Learn about four ways you may be hurting your organisational culture while trying to do things right. Talent Solutions: Sometimes a client’s project needs a full team effort, but come see how at other times the right dynamic Instructional Designer/Developer, placed temporarily with the client’s team, is perfect for getting the job done. Annie Hodson is a Solution Architect at SweetRush. Annie combines her skill and imagination to solve problems and help all involved team members reach their fullest potential. As a certified Project Management Professional, she brings her expertise in instructional design and technology together to create innovative solutions for the toughest organizational challenges. Annie is passionate about change management and personal development, and you can always count on her to bring enthusiasm and excitement to your project!